Cento Amici, a recognized 501(c)(3) non-profit organization (Tax ID 22-3800065) – Founded in 1989, Cento Amici (100 friends), is a community-based organization dedicated to supporting education in New Jersey. Founded in 1989, Cento Amici (100 friends), is a community-based organization dedicated to supporting education in New Jersey. 30th Annual Dinner: Monday, October 8th, 2018 – At this year’s annual dinner, we welcomed three new Honorary members: Tom Bernard, Kevin Cummings, and Tony Odierno. We want to extend a special “Thank You” to Jim Salzano for taking photos throughout the night. "I was a recipient of a scholarship that allowed me to attend the local all boy’s Catholic college prep high school in Detroit rather than the public school in the neighborhood. One of 12 children, my parents never would have been able to afford to send me. The advanced curriculum, discipline, and values education set the tone for my life." "I really can't describe how wonderful it has been to meet some of the students our scholarships have helped. They are smart...curious...witty...so appreciative...just outstanding individuals. They are tomorrow's leaders. If we've helped give them a head start, then I'm thrilled." "After spending more than 30 years in business, the last eight on my own, I felt it was time to give something back to others. That's why I have become involved in this organization. Through Cento Amici, I am personally involved in raising money for students who we know need our support. At last year's dinner, I was able to meet and hear directly from a young man who benefited from one of our scholarships. It was very rewarding. In addition to helping these students, an added bonus has been that I have made some great friends for life!" We remain inspired by Cento Amici's quality and generosity. Once again, your Spring Scholarship Recipient Dinner was exemplary and we at Montclair State are most thankful for your continued leadership support. Access to public higher education in New Jersey has never been more important. Your scholarship support provides critical financial resources to students who would not otherwise be able to attend. Cento Amici continues to make a significant difference in numerous students lives. "I would like to take this opportunity, on behalf of all the students at St. Anthony, to thank you and all the members of Cento Amici for the wonderful dinner. However, most importantly, is the support the organization and especially you have given to so many needy students. I am certain that your kindness will not be forgotten. I know you said only one student, from the students who passed through, ever gave back to the organization--but be assured, all of them will pass on the kindness through their thoughts and deeds. It is something you never forget." 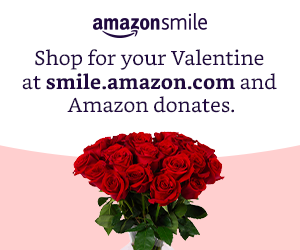 When you shop on AmazonSmile, the AmazonSmile Foundation will donate 0.5% of the purchase price of eligible products. Use Giving Assistant to save money and support Cento Amici Inc.
Use Giving Assistant to effortlessly support Cento Amici Inc..